Master filmmaker Satyajit Ray made his classic Goopy Gyne Bagha Byne (1969) 50 years ago. 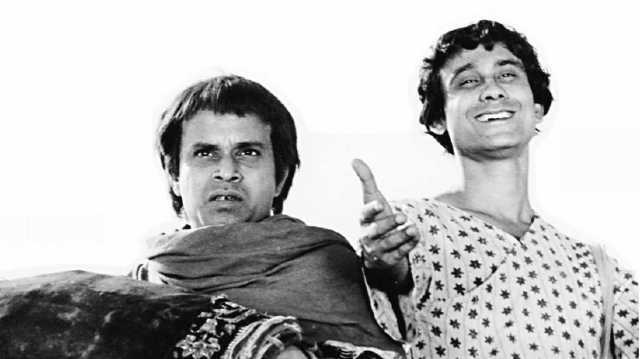 Starring Rabi Ghosh and Tapen Chatterjee, the film was based on the story by Upendrakishore Ray Chowdhury. 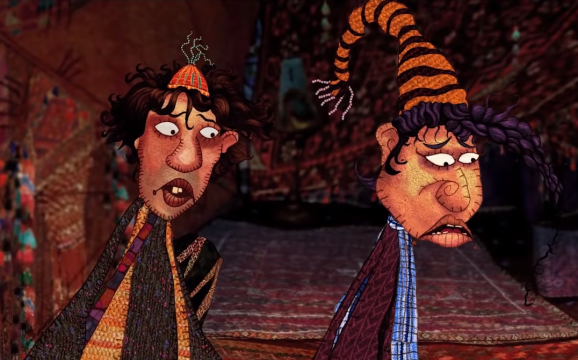 Now, animator and filmmaker Shilpa Ranade has come up with her version of the story, but in an animation form — Hindi film Goopi Gawaiya Bagha Bajaiya. She herself has been an ardent fan of the story and Ray’s version of the film. But it was a sheer co-incidence that she decided to make an animated version of the story. 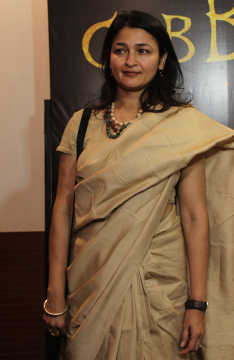 Ranade revealed this, her filmmaking process and the need of the hour for children’s films in India in an exclusive chat with Cinestaan.com. How did you come to the decision of making an animated film on this story? Like all film buffs I have seen Ray’s version of this story. It’s a film most of us have grown up with, at least my generation. It’s an absolutely wonderful film. It’s a classic. That’s what drew me to the story in the first place. Much later I got a book from Scholastic to illustrate and it was the retelling of Goopy Gyne Bagha Byne. It was written by Gulzar. It was his version of the story with his own twists and turns. While I was illustrating it, I felt this would be a fantastic subject for an animated film. I am an animator, so I keep thinking in animation terms. Is there a fear of your film being compared with Ray’s? I just felt quite intimated thinking such amazing people have been associated with this story. It just came to me out of the blue, else I wouldn’t have thought making the film. That was a stepping stone for me – to read the book and having the guts to make a film on it [laughs]. So, yes there was a lot of baggage of the great people associated with it. But I thought this could be my tribute to the story because I love it so much. 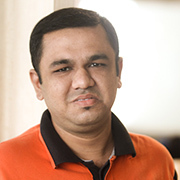 You have taken up this story and that too in your first film. So, what were your main challenges? My drawing style is a little different from the regular mainstream animation. It gets a little difficult for people to align to that style of animation or drawing. I was working with people who have already worked in the industry as animators. So, it was challenging to get my vision translated by people who have done other things. But I got really the best people to work with. It fell in place beautifully. There are many challenges in animation. It’s very long drawn process. It costs money and time. You need a lot of expertise. Of course, getting all that to fall in place was challenging but it turned out well I think in the end. This is a rare film where a war is about to take place but in the end the audience is given an anti-war message. I think these are values we want to impart to our children and to people who are willing to watch animation. We wanted our work to have something more than just entertainment. It had to have more value than that. Any work I do I try to bring more value than what you see on the surface. If one can read into the images and subtext, there is a very strong anti-war message. As you know, we are always warring with our neighbours. So, I think it’s topical and important and children need to be aware that war is unnecessary in the first place. To make it pertinent to today’s times is to talk about today’s issues. 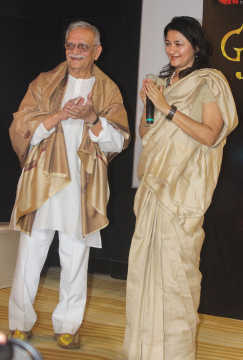 Shilpa Ranade with Gulzar during the trailer launch of the film. Your film has been ready for the last few years. Why did it take so long to release? We have CFSI [Children’s Film Society of India], who backed my film. But they don’t have the mandate to release films. So, that’s how we couldn’t release it. Unless we had a backer, as it costs a lot of money. So, it’s very difficult to release, especially in the climate that we have. You have these big Bollywood films. Their budgets are so unmatchable and huge. They have the whole muscle. In that sort of a situation, how do you release a film? Especially an animation film since it’s not mainstream yet in India, unfortunately. The children’s films scenario is not positive in India. What should be done to better the situation according to you? We have to make more films for children. You have to dedicate time, resources, material and content for children. You have to make it a priority. Unless people prioritize it, how are we going to have material for children. They are going to end up watching re-runs of serials for elsewhere which are dubbed badly in Hindi. They are consuming anything they get. What can they do? You should tell them about your life, culture, values and imagery. Our old mythic culture is so rich. Why can’t we build on that? At what point did you really feel that you should become an animation filmmaker? Very early on actually. A year down the line when I was in JJ [School of Art], I started watching films in these film clubs. There was no internet or anything then. We would actually make an effort, go to a film club and watch world cinema. When I did that, I saw some eastern European animation. That was the turning point for me. I said I have to do this because it brought image making and film together in a very personal and experimental way. It’s an amazing medium. It can be for adults and children and it can cut across all forms of genres. Actually anything can be animated. Right from then, probably at the age of 16, I thought I have to be an animator. How much are you thinking about the film’s box office prospects? I am not personally thinking of it but I know the producers are. Unless they make their money, how will they back the next film? Or how would someone like me make my next film? Of course it’s very important, except I personally won’t have the skills to do that. But there are people on the job right now working on marketing it properly and releasing it well and trying to get the money back as well.